* I have the feeling I've seen this joke or something similar before. 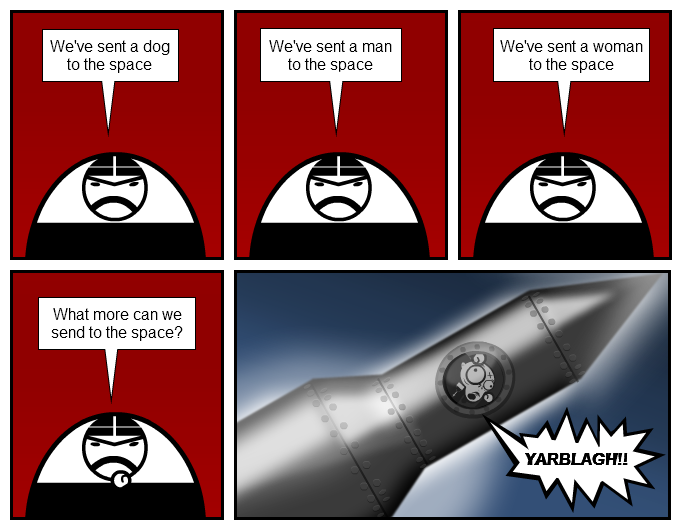 What more can we send to the space? The space shuttle, looks cool and well drawn.i like the effects. i think the republican national party would like a ride into space! I can think of a long list of people that we would be better off without. felicidades en tu estatus FA!